So, you’ve put a lot of effort into that lush green lawn. Your garden is healthy and productive, and your flower beds are the pride of the neighborhood-but then you see it. A weed, and where there is one there are many more to follow. Weeds propagate rapidly and have deep and extensive root systems, which makes them more than a little difficult to eradicate. There is hope though! 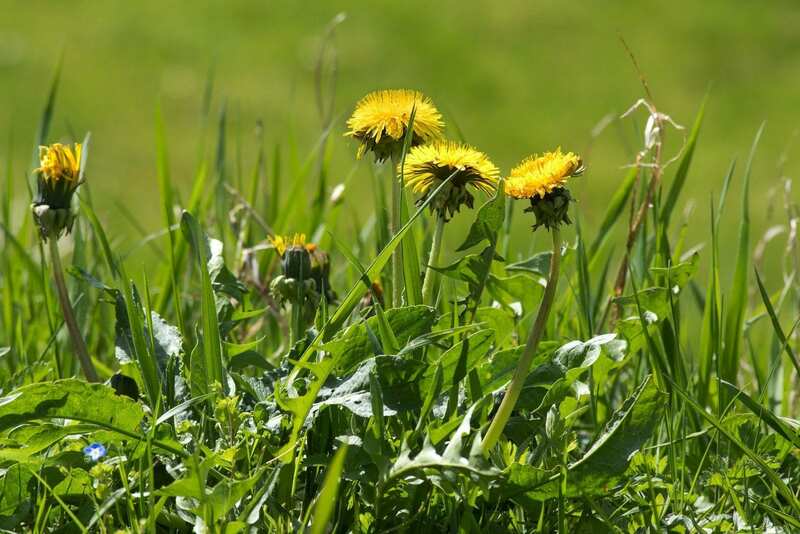 Read on to see how you can gain an advantage over those pesky weeds. Mulch is your yard’s best friend. It keeps weeds down and soils cool and moist. Make sure your garden, flower beds, planters and the area around the base of your trees are all well mulched. Choose whatever type you like best, bark, wood chips, pebbles or straw, it will all do the same job. It should be 2-4 inches deep and not tightly packed around stem or trunks. To make it even more effective, you can lay down landscaping fabric or newspapers first. Much will also protect your garden during those searing heatwaves that seem to be more and more common. Whatever you’ve planted, plant more! Use every bare space you have for plants. Dense plantings literally leave no room or nutrients for weeds to grow, so they take care of the problem for you. Just make sure to allow for enough air circulation to avoid fungal issues. Cover crops like ivy or Creeping Jenny can be a good idea in areas you don’t have formal plantings for but don’t want to leave bare either. They’ll quickly cover them and choke out any weeds. If you see weeds, remove them quickly. Don’t let them go to seed, and don’t just snip them, make sure to dig out the entire root system. If you don’t, the weed will just grow again. This can be a difficult task as many weeds have deep root systems and large tap roots, but it’s necessary. Invest in a good hoe and shovel to help. Unfortunately, some weeds, like crab and Bermuda grass, are highly resistant to mechanical removal and require other means to eradicate them. Herbicides should be used sparingly and with great care. Avoid broad-spectrum types as they will kill everything they touch, not just the weeds. Herbicides should never be used in vegetable or herb gardens. If you must use a chemical solution, pick one that is designed to kill the specific weed you’re having a problem with. Don’t use on windy days and be careful to avoid run off, which can sicken wildlife and get into the water supply. Believe it or not, every bit of your yard and garden soil is full of weed seeds, but most will never do anything but lie there as they are too deep down to get the light needed for germination. If you dig up the soil though, that will change, so dig sparingly. If you do have to turn over the soil, do so as little as possible and immediately mulch the area when you’re done the planting. Don’t leave any bare turned over soil for long or you’ll get a bumper crop of weeds. Weeds are a fact of life for anyone who has a yard or a garden. Every square inch of soil is home to hundreds of weed seeds, but only those in the top inch or so will grow. To gain the upper hand, lay down mulch after you turn the soil and plant. For areas, you don’t plant in, lay down landscape fabric first and mulch. Plant densely so weeds don’t have a chance to grow, and remove any you see quickly and before they go to seed. Avoid chemicals if you can., It takes a little effort, but you’ll be rewarded with a beautiful weed free garden.